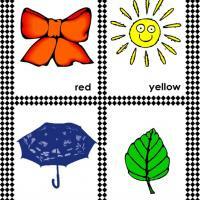 Flash cards are a favorite teaching tool for younger children for a variety of reasons. They are easy to use. They make a lesson seem fun and it generally goes quick before they lose their attention. 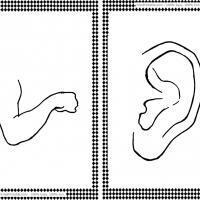 Plus it helps kids that have not learned to read broaden their vocabularies by matching pictures with the spoken word. 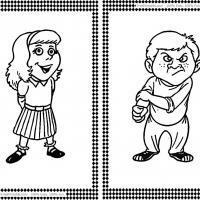 Here is a pair of flash cards showing a friendly girl and unfriendly boy. Print them out and cut them apart since it is two per page. Use them when teaching kids about opposite adjectives. A friendly girl is smiling and an unfriendly boy is scowling. Kids and teachers love flash cards for learning and for fun. They are easy to store until needed with little space required. Small children react well to them because they will understand a picture before a word written on a page. Teachers love our free printable classroom lessons for quality and ease of use. Friendly and Unfriendly Flash Cards is free printable flashcards used to teach youngsters about adjectives. Particularly it focuses on adjectives that end in –Ly. The two card set includes a friendly little girl smiling and an unfriendly boy frowning. If you would like you can have the words added on them before printing. Teachers and parents love these free printable classroom lessons available for all ages. Leave cards as pictures only for the younger kids who have not learned to read yet but benefit from learning new words to associate with pictures. Custom add words to the cards before printing to tailor them for your lesson. Friendly and Unfriendly Flash Cards is free printable flash cards that are helpful to explain adjectives that end in –ly such as friendly and unfriendly. Also, this set of cards is useful for kids to learn to label feelings. The smiling girl is happy. The little boy is angry with his fist clenched. Check out more of these free printable activities.